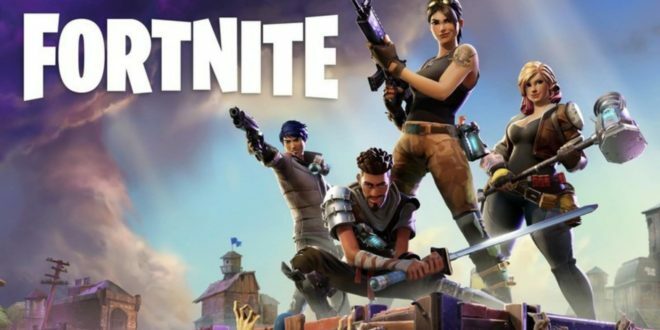 Hachette has detailed the next phase of its global publishing programme for books, based on the hit video game title, Fortnite. The title – created by Epic Games – continues to go from strength to strength, now with over 250 million registered players across the globe, and over 80 million monthly players. The game has now entered its eight season, with more game modes, player outfits and add-ons. Coming up this year is the Fortnite World Cup 2019, in which players have the chance to win a share of the $100 million prize fund. Meanwhile, the Hachette publishing programme has already seen success in th run up to Christmas 2018, with over 100,000 official Fortnite calendars sold in the UK in just six weeks, and ovr 350,000 items of stationery printed globally in the run up to the festive season. Ten major foreign rights deals have now been signed spanning French, Spanish, German, Italian, Dutch, Polish, Hungarian, Russian, Danish and Swedish with more to follow. This month will see Hachette launch the first Official Fortnite Battle Royale Survival Guide – a book to help gamers get even more Victory Royales. At the same time, fans will b able to note down their gaming exploits with the Official Fortnite Battle Journal – a day by day log book. The Official Fortnite How to Draw book, which features step by step drawing instructions, will publish in July. July will also see the arrival of the Official Fortnite Outfits Collector’s Edition, as well as the Official Fortnite Supply Drop Collector’s Edition. Hachette will also be launching the Official Fortnite 2020 Calendar and the Official Fortnite 2020 Diary in July this year.